We take “custom” to a whole new level here in the Crown Valley craft room. 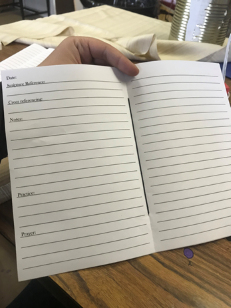 Journals are a great way to write down creative thoughts and ideas, take quick notes, sketch, draw, and express yourself. 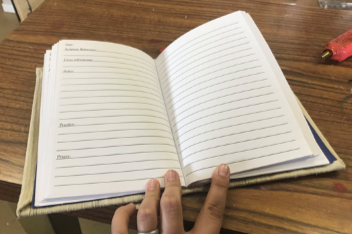 If the contents of our journals are custom, why not make the outside custom too? 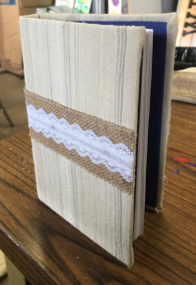 Lace/Burlap or anything else you’d like to decorate your journal with. 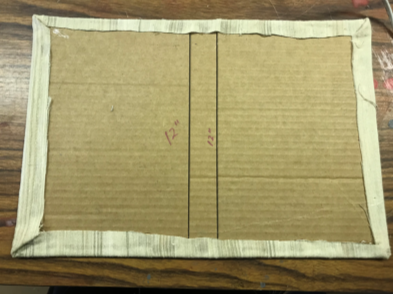 So, you’re going to start out by cutting out your cardboard and laying out on your fabric. 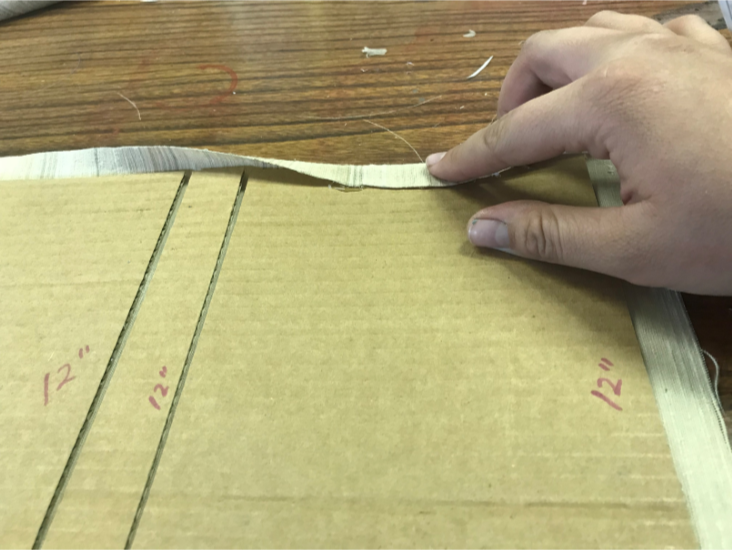 Make sure there is 1/8” gap between the pieces, and your skinny piece will be in-between the big ones. After cutting you fabric. 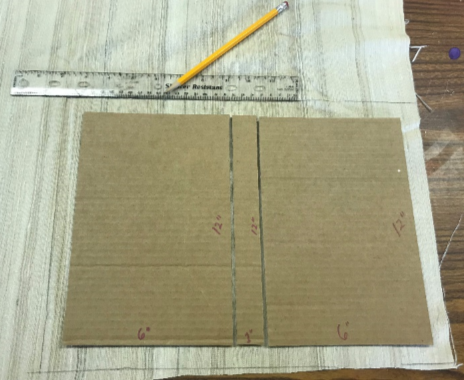 Lay out your cardboard in the center, leaving a 1/8” gap between the pieces. 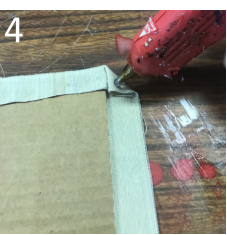 Now, hot glue around the perimeter of the cardboard and fold your fabric over the edge. You are going to go all around the perimeter. 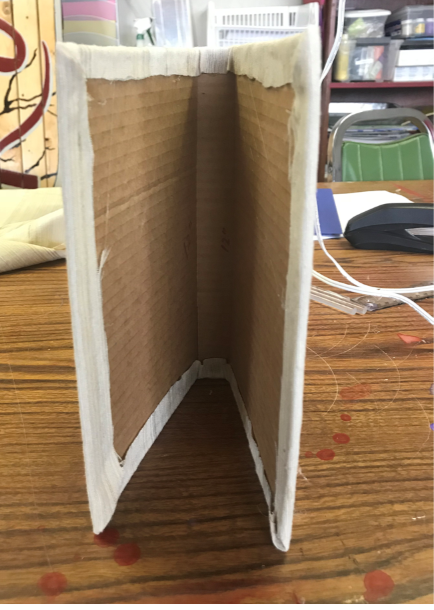 When you get to a corner, you want to do a nice corner fold so the raw edges don’t show. 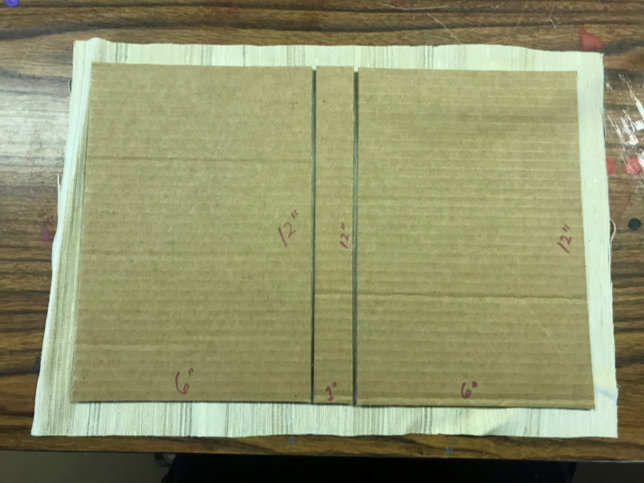 You are going to fold down-wards, then fold the edge of the fabric to meet the edge of the cardboard. 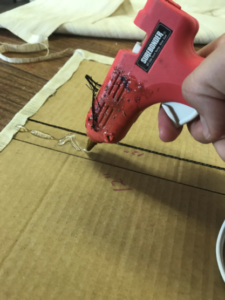 (I secured it with a dot of hot glue). 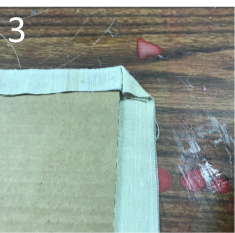 You should have a triangle looking fold… then, start folding the whole side down and hot gluing it. 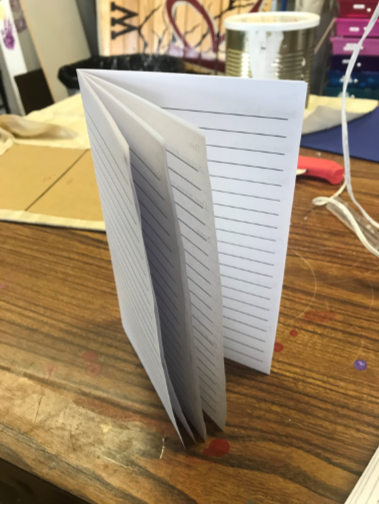 Then you are going to stack 3 folded pages to make a small booklet. 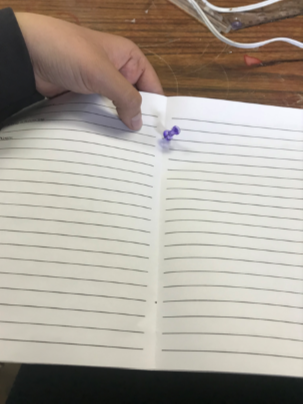 go ahead and do this with all of your pages. 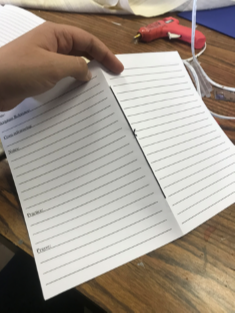 Get something pointy, like a tack, and poke 2 holes in each of your three page booklet, along the center crease. Make sure your holes are the same distances from the edge… I poked mine about 2 inches away. 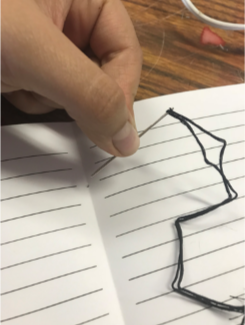 Now, get your needle and some friendship string and tie the pages together going through the holes. You should have a stack of booklets! 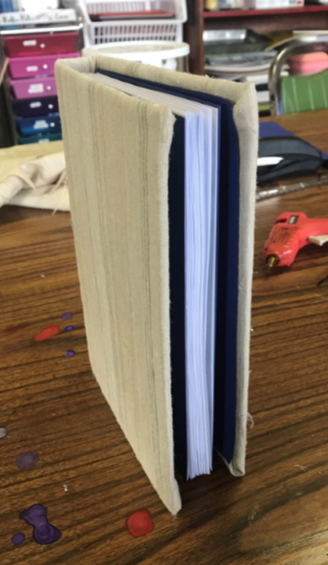 Stack your booklets in your hand and hot glue across the spine. 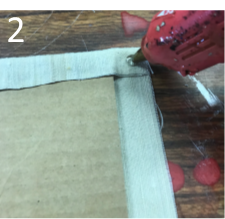 You’ll have to hold it for a few minutes for the hot glue to harden before you do the next step. 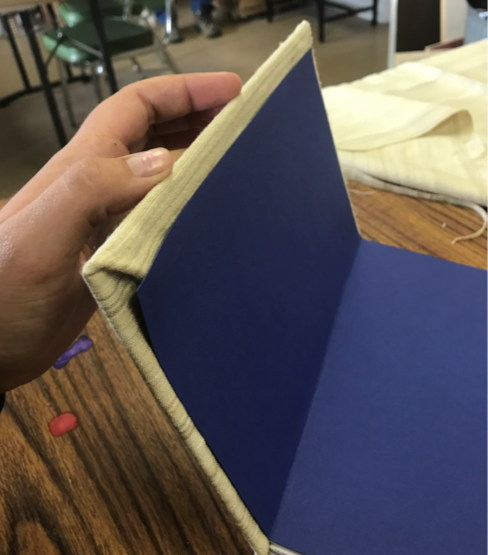 Place the pages on the hot glued spine—make sure your pages are not too high or too low on the spine. 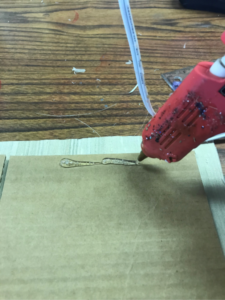 Hold it there for a few minutes until the hot glue cools and hardens. 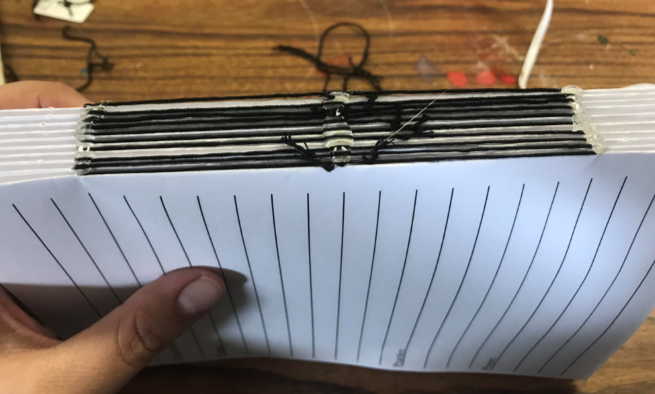 Hot glue down the spine on the inside of your journal cover. 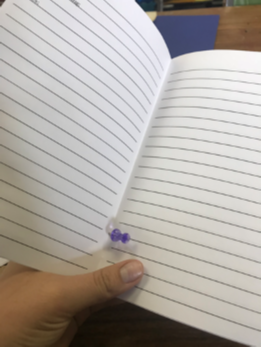 Do it fast so the hot glue doesn’t harden before you put your pages in! 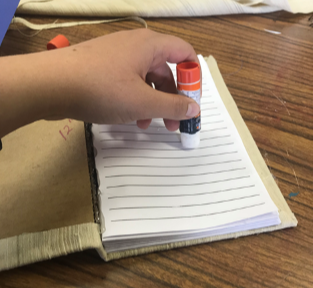 Get your thick scrapbooking paper and a glue stick, and glue half of the construction paper to the first page of your journal. 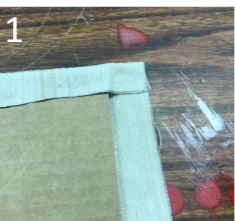 Then, hot glue the other side to the inside of the front cover. 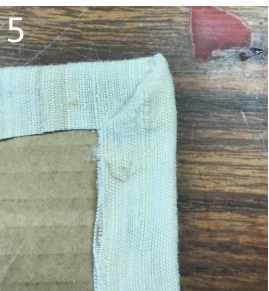 Be sure to cover up the fabric edges. 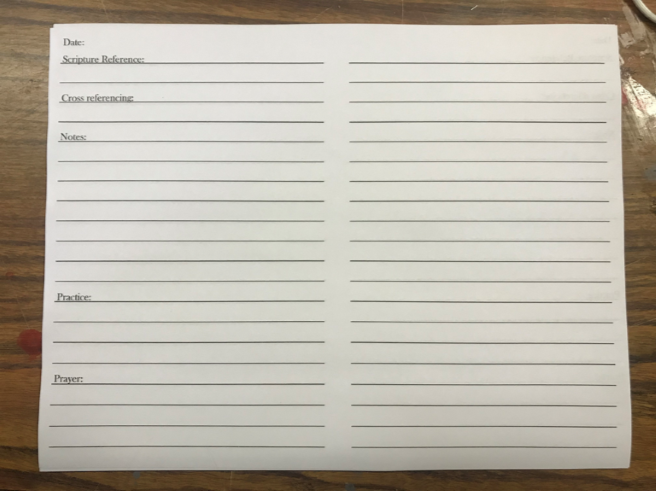 Do this on both the inside of the front and back cover! But I wasn’t done. It looked too plain… so I dolled it up and added some burlap/lace stuff that I found in my stash. There you go! Here is my finished product—I think it turned out pretty cool. 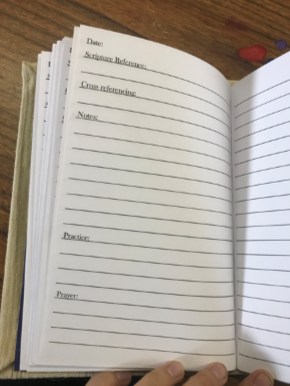 I will definitely be using this journal for my personal bible studies! It would be cool to switch out the printer paper with thick watercolor paper. You could even print out coloring pages on the watercolor paper and be creative with watercolors! 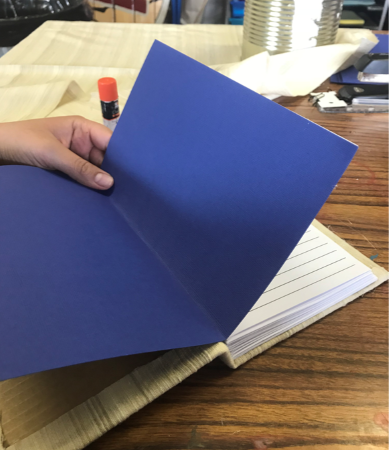 Your very own custom art journal. 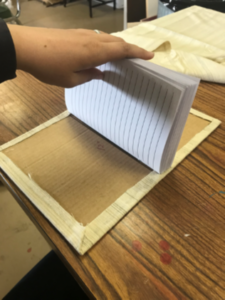 You can also be as creative as you want on the outside cover—the possibilities are endless… make it your own!